With all the technology that is now available, content is being consumed in many different ways and on many different devices. While desktops and tablets are big players in the game, mobile devices seem to have a big influence on click through rates and browsing. 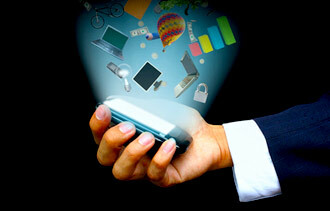 In 2013, mobile content marketing will generate a large return on investment if done properly. 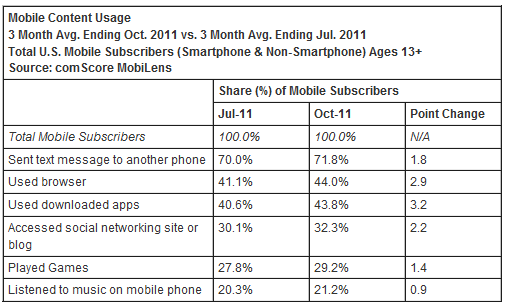 Open rates on mobile devices have increased by 300% from October 2010 to October 2012. Mobile email creates twice as many conversions as social activities or search. Mobile may not mean “on the go.” 51% of US mobile users browse, search, and purchase on mobile devices at home. Web visits on a mobile or tablet device are highest on Thursday at 15.7%. SMS marketing messaging is becoming more popular, with 31.2% of agencies using this tactic to increase click through. What is the state of mobile content marketing? Get in the game, or lose the opportunity for click throughs, conversions, and engagement. Everywhere you look, people are on their smartphones — but many aren’t talking. They’re browsing, texting and using apps, which makes them a tempting target for marketers. According to communication technologies agency the International Communication Union, there are now 5.9 billion users of smartphones and other mobile devices, representing 87 percent of the world’s population. The ICU also reports that 1.5 billion people are using the mobile web. That’s a huge business opportunity. But where do you start? Here is some insight on five mobile marketing questions every business owner wants answered. 1. Should I build a mobile website or a mobile app? Most businesses will want to build or optimize their websites for mobile rather than build an application. Think of the fundamental reasons your customers would visit your website, especially if they’re on the go. Make sure that on a phone or tablet screen your site’s navigation is easy to use, there’s no need for unnecessary zooming or scrolling, and the main things your audience wants are easy to locate. One of my favorite examples of a great mobile website is PapaJohns.com. There are three big buttons — order a pizza for delivery, order a pizza for pick-up and find a location. If you want something else, go to the website on a computer, not a phone. 2. When does a smartphone app make sense? Apps don’t replace your mobile website. They supplement your audience’s experience. Some businesses — especially media outlets or those with a high volume of original content, such as blog posts or videos — may be able to develop a useful service via an app. New York’s Mermaid Oyster Bar includes its menu, locations, hours and a reservation link on its mobile-optimized website, along with a button to install its Oysterpedia application. The app is a companion encyclopedia of all things oyster, including photos and descriptions of the many varieties. It lets users bookmark their favorite oysters and share information with their social networks. The app is subtle. It doesn’t directly ask people to visit the brick-and-mortar location, but it certainly establishes the restaurant as an authority. And where would you prefer to dine on oysters? Where the authority prepares them, of course. 3. What is responsive design and should I invest in it? Responsive design is a relatively new approach to web design and development that essentially bakes in mobile optimization to your website rather than your having to create multiple site designs. Think of it as having one website rather than three — one for the desktop browser, one for a tablet and one for a phone. Some content management systems and blog themes are emerging that incorporate responsive design. Also, many developers are building new websites with responsive design techniques in mind. So, responsive design can be had for minimal investment if you’re using WordPress or a similar open-source content management system. 4. What are QR Codes and how can I use them? QR, or quick response, codes are basically bar codes that serve as a link to send a phone’s browser to a web address. Users scan the code with a QR code reader they have downloaded to their phones. You can use QR codes to deliver coupons, get customers to register for your email newsletter, or even send them to “Like” you on Facebook. But be sure to make the QR process simple and efficient. The web address you send people to should be optimized for mobile, and you should include instructions on using the code for newbies. Just over 6 percent of U.S. mobile users had scanned a QR code as of mid-2011, according to digital analytics service comScore, Inc. So, the market penetration is small. But the adoption of QR use has grown exponentially since the bar codes hit the U.S. market in the mid-2000s. 5. How close are we to mobile commerce? Depending on your definition, we’re already mobile-commerce ready with existing technology. Not only do mobile hardware accessories such as Square provide credit card readers that plug into your mobile devices, but platforms including Flint Mobile also remove the hardware requirement by using your phone’s camera to scan the credit card number. But other products such as Google Wallet, which incorporate Near Field Communications — a far more secure radio communication from a device like your phone to another device such as a cash register — are still in limited testing phases. The carrier, device and operating system companies have yet to agree on industry standards for security and privacy protection. So you’re not likely to see people waving cell phones in front of your credit card readers in the near future. 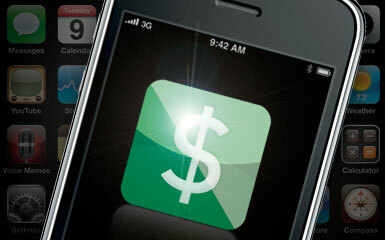 Still, keep an eye on Google Wallet and other mobile commerce developments. We have answered some of the basic questions, but there’s a lot more to know about mobile marketing before you dive in. Helpful online resources include Google’s HowToGoMo.com and the site mobithinking.com, which includes many statistics and insights. We’re almost halfway through 2012. Can you believe it? The skyrocketing number of smartphone users and amplified mobile marketing budgets tell us one thing: the scope of mobile is broadening more and more each day. Mobile Web is predicted to reach 2 billion users by 2015. The largest age group of mobile Web users is ages 25-34, making up 25.6% of the user population. When looking at the entire population of mobile Web users, 51.3% are male and 48.7% female. An average mobile device user has their smartphone with them 23 hours per day. The most common mobile activity is text messaging (74.3%), with photos (60.3%) and email (40.8%) trailing close behind. 58% of all SMS opt-ins are done by the 25-34 age group. The average mobile marketing/advertising budget is between $75,000 and $100,000 per campaign. The mobile advertising market is expected to surpass $5 billion by 2015 (compared to the $1.24 billion in 2011). Mobile search makes up the largest investment of advertisers (49%), and following that are display advertising (33%), SMS/MMS marketing (12.2%) and mobile video (5.8%). 71% of smartphone users have used mobile search after seeing an ad. Nearly 1/3 of consumers say mobile is their go-to shopping method. 87% of consumers shop via websites on a laptop, 14% on a smartphone and 9% on a tablet. Men and women engage differently on mobile devices when it comes to shopping: women use smartphones to make their shopping experience more social, while men use it to find information about their potential purchases. Mobile coupons generate 10x the redemption rate as traditional coupons. 70% of smartphone users use their devices when shopping in-store, and 29% who do end up purchasing the item online–this is called the Showroom Effect. 53% of those mobile searchers have made a purchase after a smartphone search. 50% of smartphone owners have scanned QR codes, and 18% of them made a purchase after scanning. 48% of companies plan to invest in advertising with QR codes in 2012. So, there you have the numbers and be you informed! Ignorance is no longer an excuse for marketers not tapping into mobile. It’s clear that advertisers certainly have a wide range of mobile options to choose from, with mobile Web, advertising, SMS, coupons and QR codes at their fingertips. Is Mobile Advertising the Future of Marketing? Just How Effective is Mobile Marketing? Mobile marketing produces more results more quickly than any other marketing channel in the history of the world. I think mobile marketing is the most effective marketing channel ever (and it is not even close). 1. Speedy Conversions – A stunning 70% of all mobile searches result in action within one hour (Source: Borrell Association, 2011) By way of comparison, 70% of online searches lead to action within one month. This statistic alone surprised me. Think, for a moment, about the implications of this statistic. This shows marketers, clearly, that people searching on a mobile phone are prepared to learn more about your company/product immediately. This compresses the sales pipeline tremendously. There is no other marketing method that can approach these numbers. 2. Superior Quality Conversions – Our research indicates that conversion rates are 10 times higher on a phone than on the average landing page. Basically, this means that if a prospect calls you, they are 10 times more likely to buy your product than if they simply visit a landing page. 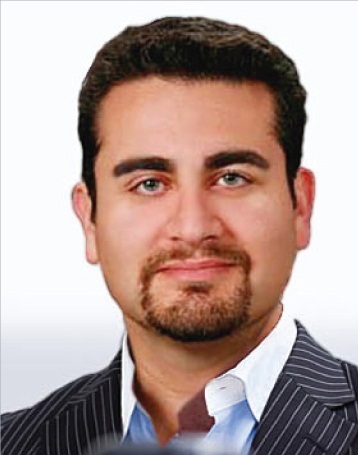 What does this have to do with mobile marketing? Well, guess what mobile marketing is really, really good at: generating phone calls. 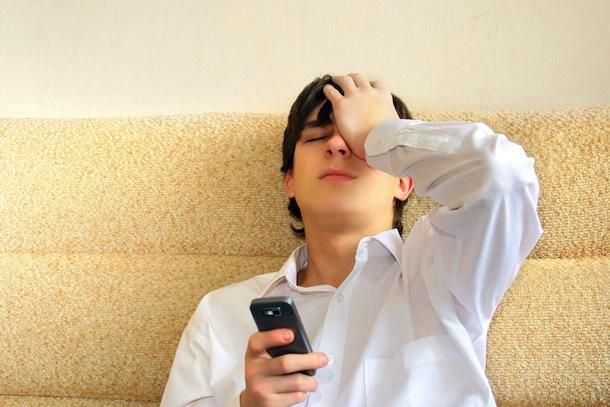 Google says that 61% of mobile searches result in phone calls. xAd says that 52% of all mobile ads results in phone calls. There is no other marketing channel that produces phone calls that frequently. In short: mobile generates the highest quality lead source the majority of the time. 3. Local Benefits – Google says that 95% of smart phone users look up local information regularly. 88% of these users take action within a day. This indicates that there are immediate needs searchers are trying to address. Local companies should take advantage of these needs immediately. If your local business cannot be found on a mobile search, you won’t exist by 2014. 4. A ‘Captive’ Audience – If you have a smart phone you know how hopelessly addicted you are to it. You know that you can’t make it through a meal, a movie or even a trip to the restroom without checking your phone. You are a captive prisoner to your phone. This makes marketers smile. Marketers have long tried get their message in front of potential consumers. Marketers need access to consumers to get their message out. Well, mobile marketing gives you constant access to consumers. Studies show that 91% of smart phone owners have their phone with arms reach 24/7 (Source: Morgan Stanley, 2011). There is no other channel that provides access to potential buyers 91% of the time. 5. And….Action! – 90% of mobile searches lead to action, over half lead to purchase (Source: MobiThinking, 2012) Wow. 6. Mobile Metrics are Easy to Measure – Google Analytics is definitely trending mobile. You can track where mobile users are, how frequently they visit and even which device they use. Additionally, integrating Google Analytics Multi-Channel Conversion Path with a call tracking tool allows you to track every engagement from the consumer. Phone calls are simple to track with any call tracking application (we prefer ours). And, remember, phone calls are the most common result of a mobile ad or mobile search. Mobile marketing is, frankly, different. Mobile’s response rates and success rates are astronomically higher than any other method of marketing ever seen before. Let me be perfectly clear: in terms of immediate response, no marketing method even compares to mobile marketing. Nothing even comes close. Now this shouldn’t frighten traditional marketers, businesses or online marketers. This is an opportunity, not a problem. Think of it this way: you’ve been given a tool that will increase your engagement, conversion and your trackable metrics. That’s awesome! In March 2012, marketing agency Cargo and Inc. Magazine found the majority (52%) of US small-business owners felt companies did not market to them effectively. Along similar lines, 45% said companies made little effort to understand their business and 43% said B2B marketers did not understand their individual needs as small-business owners. Part of the problem may be that the small-business audience is widely diverse. It comprises business and service owners in industries across consulting, retail, food service, agriculture, technology and more. And even at the industry level, small-business owners’ needs are highly individualized and easily reprioritized as owners juggle their marketing, operations, sales and financial responsibilities. Small-business owners’ proclivity for mobile devices such as laptops and smartphones could prove valuable for B2B marketers looking to connect with this audience. Inc. Magazine and Cargo found the vast majority (91%) of US small-business owners placed importance on wireless communications and smartphones for their business—a likely indicator of their vital daily use. Tablets were also important to 64% of respondents. The importance of these devices for US small-business owners coincides with SMBs’ adoption of smartphones and tablets. In April 2012, Spiceworks, an online SMB IT solution provider and professional community, found that 96% of SMB IT professionals worldwide said their company purchased smartphones for their employees. Sixty-six percent said the same of tablets. Marketers looking to reach small-business owners on these mobile devices might consider starting with first adapting their mobile web presence for Apple OS-based devices: The vast majority of tablets purchased for employees were iPads (79%), followed by Android devices (39%). In addition, 64% said they bought the iPhone/iOS for employees, followed in popularity by Android smartphones (56%) and BlackBerrys (41%). As a foreign correspondent in London 10 years ago, my job was to unearth innovative new startups for my business magazine’s readers. I traveled across the Continent, from Helsinki to Milan, meeting entrepreneurs, venture capitalists and big company researchers to write about the next big thing. In the summer of 2002, I attended a launch party for a startup demonstrating their nascent service at a swanky Haymarket bar. Upon walking in, there were printed instructions to visit one of the tables playing music and then navigate through a maze of confusing WAP mobile phone menus. What resulted was my phone magically telling me the name of the song playing in the room. The event was Shazam’s coming out party. It took almost 10 years for the music recognition app to truly gain widespread recognition but, for me, it was the first time I saw firsthand what was only possible with a mobile phone. Ten years later, publishers are still plotting the best ways to engage readers on mobile devices. The stakes are high. As technology continuously improves, the percent of content consumed from mobile devices increases. On average, 20% of sites’ content is now being consumed in mobile browsers. But, evolving technology platforms and consumption patterns makes it far more difficult to succeed on mobile than it is on desktop. And the challenge of building a great mobile experience isn’t solved by simply ensuring the content displays in the right way in the right environment. The bigger challenge is to figure out how best to match the content and mission of that publisher with the unique properties associated with varied operating systems, devices, browser and app environments. Different technology translates into different consumption patterns. For example, users are consuming content in very different ways in apps than they are on the mobile Web. Gaming and social apps account for 80% of all app activity. By comparison, those activities account for just 40 percent of time spent on the desktop. Mobile Web consumption more closely mirrors what people do at a desktop with news, utilities, entertainment and topic-specific content accounting for the bulk of activity. Most publishers are responding to the rapidly evolving technology landscape with a wait-and-see approach. A brave few are experimenting early, and with promising results. Food52 has tailored its approach to the screen size. Its iPhone app is focused on its Hotline, a forum for user questions and answers. To take advantage of the bigger screen and encourage users to take their iPads into the kitchen, Food52’s Holiday app included a variety of entertaining tips, such as step-by-step instructional videos on how to prepare a dry-brined turkey or Tuscan onion confit. The logical first step for publishers into mobile publishing is to create a mobile-optimized site. SAY makes that easier with technology used by Remodelista that automatically resizes the page based on the screen size the content is being accessed from. Still others are pushing the envelope even further. Kinfolk Magazine’s luminous iPad app complements its quarterly books about small gatherings by encouraging readers to experience the content in a way unique to a tablet device. Whether swiping down for a peek at an intimate dinner by a freezing lake or rearranging the layout and size of photos of a salty dinner of buttered clams and beer in Maritime Canada, readers have never been able to personalize content like this before. Since the launch of the first iPhone in 2007, the production and mainstream usage of smartphones has exploded. The device opened a world of innovation in mobile technology, which was soon followed by a similar boom from apps. Today, we rely on apps to do just about everything, from keeping us organized to pure entertainment. Millions of downloads later, the app economy is as strong as ever. App development has created 466,000 jobs across all available platforms, according to a survey performed by TechNet. This includes local baristas, since many developers rely on coffee shops to get work done. Our friends at Frugal Dad have created this infographic about the economy and how it’s been affected by smartphones and apps. A prediction for the future of smartphone growth makes some bold projections: By the end of this year, there could be more smartphones on the planet than humans, and by 2016 there could be 10 billion smartphones. That’s 1.4 mobile devices per capita. In its global mobile data traffic forecast, Cisco predicts that a solid chunk of growth will come from the Middle East and Africa, with a compound annual growth rate of 104%, followed by Asia Pacific with 84% growth. What will people be doing with their smartphones in the coming years? Cisco predicts that by 2016 two-thirds of the world’s mobile data traffic will be from videos, increasing 25-fold between now and then. Mobile network connection speeds will increase as well, according to the company. Check out the video above to learn about what changes in smartphone data traffic we might expect in the coming years. New data from comScore takes a look at the number of mobile devices owned in the U.S., the top manufacturers and mobile market share, and the activities Americans engage in on their devices. According to new data out from comScore, the total number of Americans who own mobile devices now tops 234M, with 90M of which being smartphones. The study covers the three-month average period ending October 2011, and includes a survey of more than 30,000 US mobile subscribers. In terms of mobile OEM data, Samsung remains the top handset manufacturer overall with 25.5% total market share, followed by LG with 20.6% marketshare and Motorola with 13.6%. In terms of mobile operating systems, Android holds on to the number one spot — now sitting at 46.3% total market share. Apple comes in at second place with 28.1% of the market — up only one percentage point over the proceeding three-month period. RIM rounded out the top three with 17.2% share, followed by Microsoft in fourth place with 5.4% and Symbian in fifth place with just 1.6%. Looking at mobile content, 71.8% of U.S. mobile subscribers used text messaging on their mobile device in October — up 1.8 percentage points over the last reporting period. Mobile Web browsers were used by 44% of subscribers — up 2.9% – while downloaded applications were used by 43.8% — up 3.2%. Use of social networking sites and blogs increased 2.2% to 32.3% total, while mobile gaming came in at 29.2% — up 1.4% from the previous period.